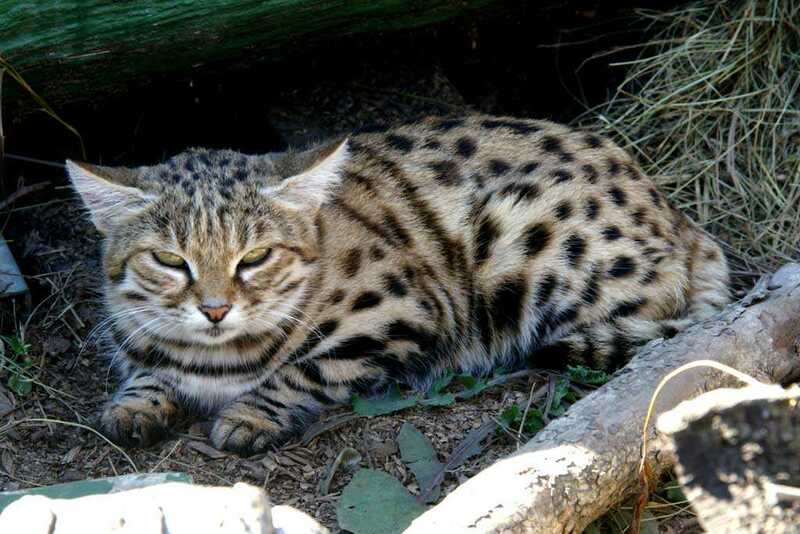 Black Footed Cats, or Small Spotted Cats are nocturnal and not common in the wild. 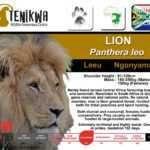 There are very few in captivity and they are listed as CITES 1 threatened animals. Contributing factors to their decline in the wild include secondary poisoning by baiting for jackals and overgrazing leading to reduced food supply. 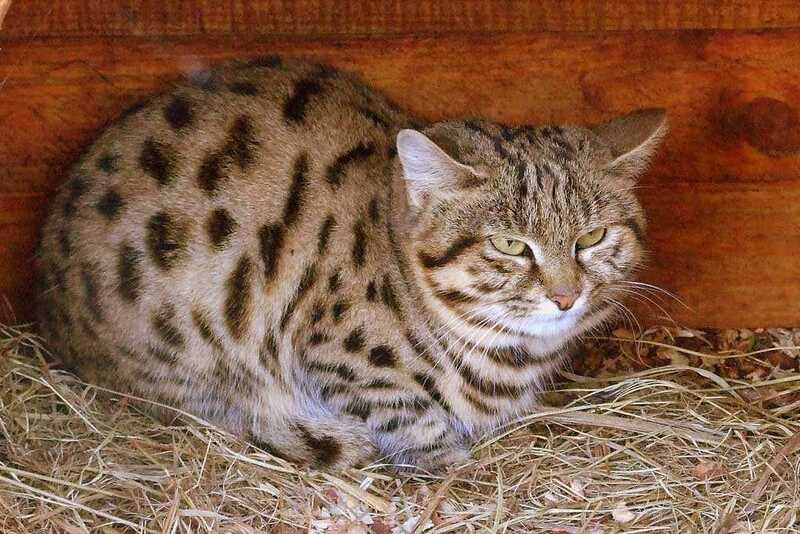 Habitat: Black-footed cats are nocturnal inhabitants of the arid lands of southern Africa and are typically associated with open, sandy grassy habitats with sparse scrub and tree cover. Although poorly studied in the wild, optimal habitat seems to be areas having long grass with high rodent and bird densities. 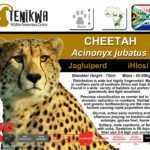 During the day they live in abandoned burrows dug or in holes in termite mounds. 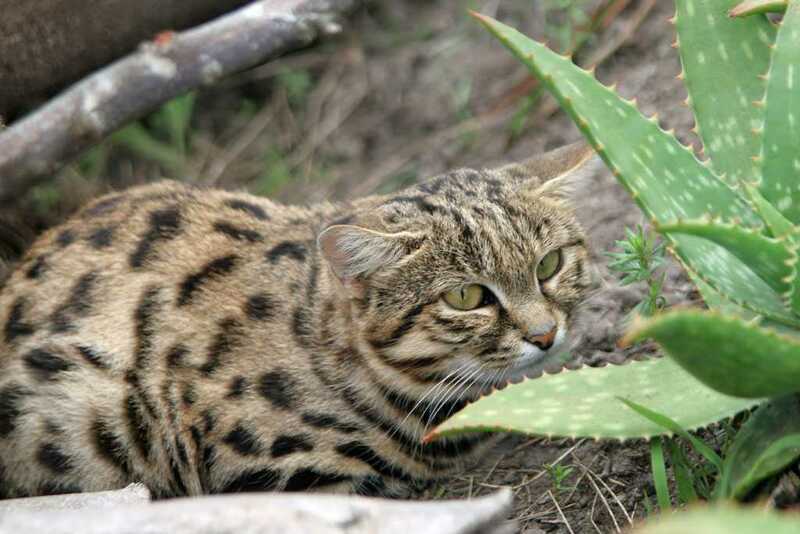 Distribution: Black-footed cats are native to arid regions of southern Botswana , Namibia and South Africa . Their reputation as vampire cats is based on their ability to live independent of water. They use the body fluids of the prey they catch for all their liquid requirements. 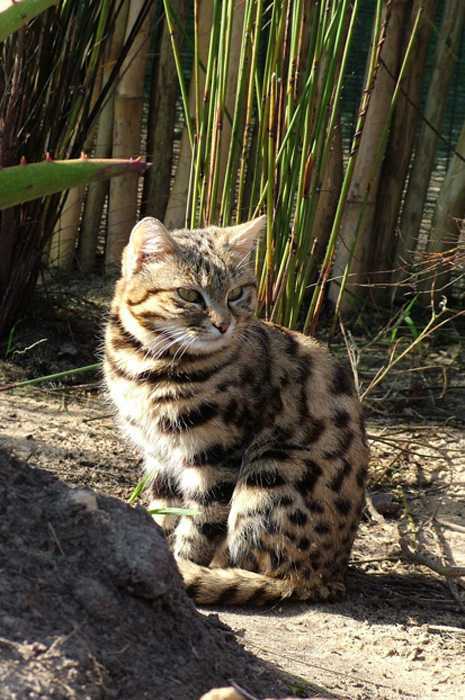 Size and Appearance: Perhaps the smallest species of cat, black-footed cats average only 2.4 lb. to 4.2 lb. at maturity, with males being considerably larger than females. 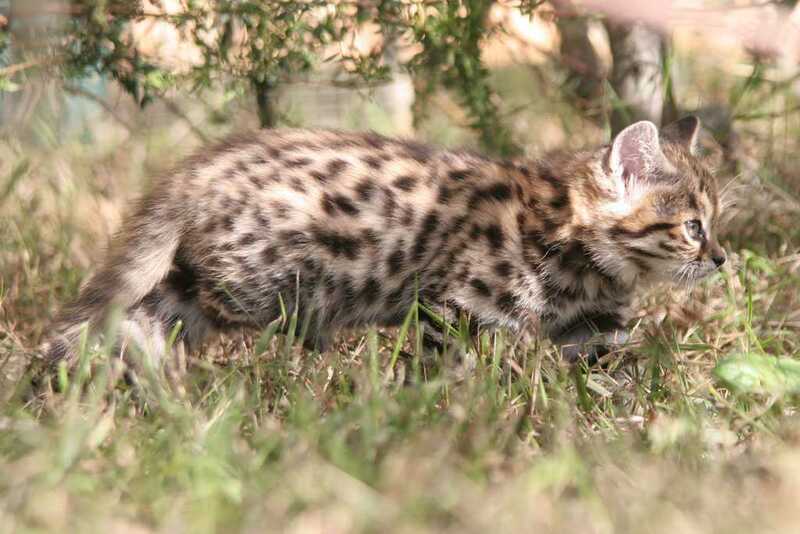 Overall they are buff-colored with heavy black oblong spots and the legs have thick dark stripes or “bars”. 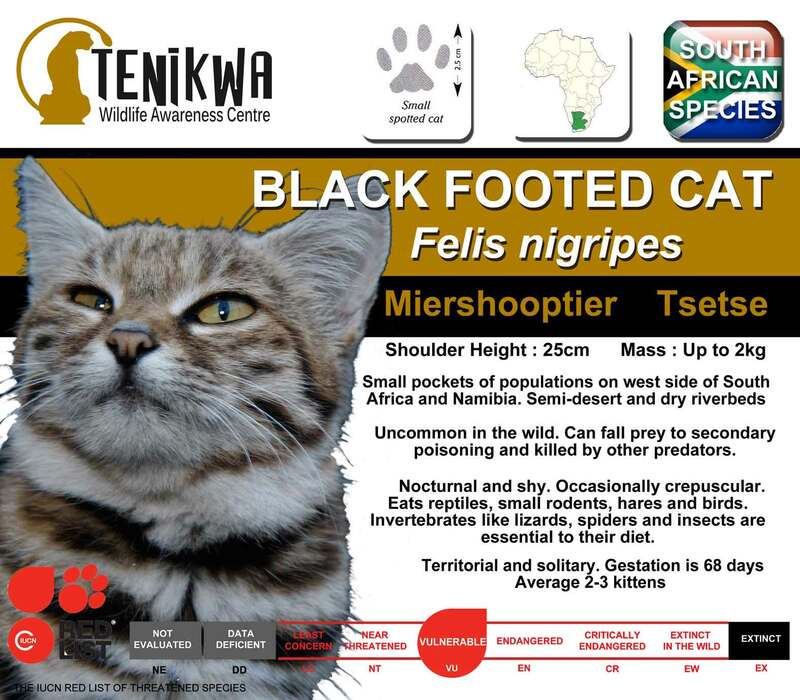 Their name “black-footed” comes from the fact that the undersides of their feet are black, as are those of the African wildcat. Reproduction and Offspring: Females have 1 – 3 kittens after a gestation of 63-68 days. 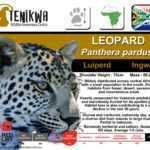 They are independent when four months old, reach sexual maturity around 21 months old. 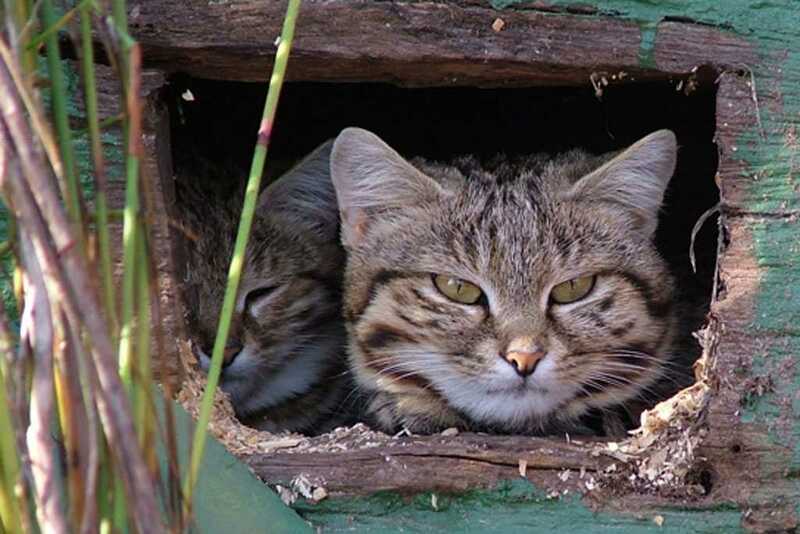 Social System and Communication: Little is known about this species, but like most other small cats, black-footed cats are solitary and come together only for breeding. 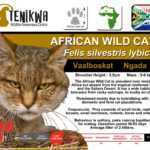 They are active between sunset and sunrise, travel as much as 8km and have higher energy requirements than the other African cats. Hunting and Diet: In nature their diet consists mainly of small mammals and birds, insects, arachnids and reptiles. In captivity many cats are fed commercial feline diets and mice and further investigation into their nutritional requirements is warranted. 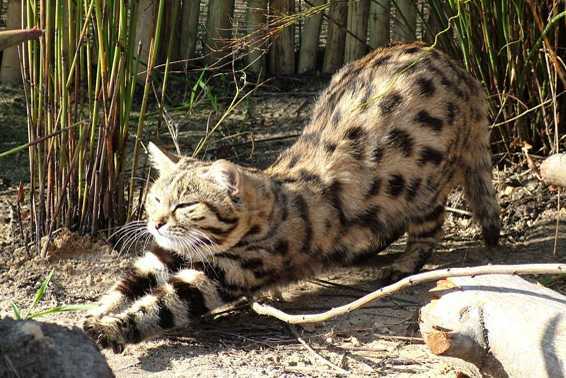 They hunt by a stalk, run and pounce method, or they wait outside of rodent holes for their prey. 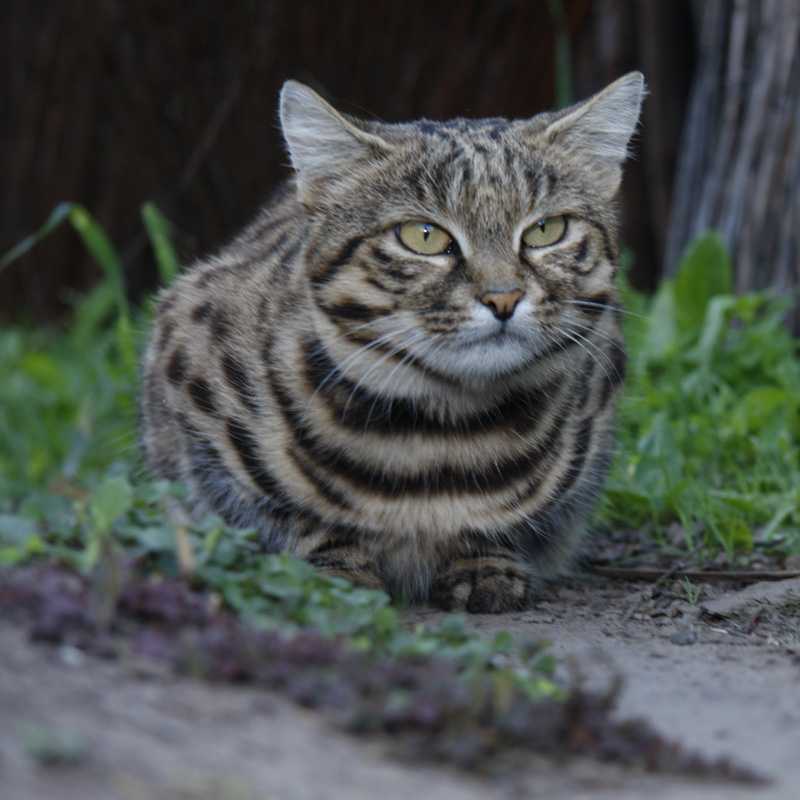 Principal Threats: Little is known about their real status in the wild and farmers seldom report capturing black-footed cats in problem animal surveys. 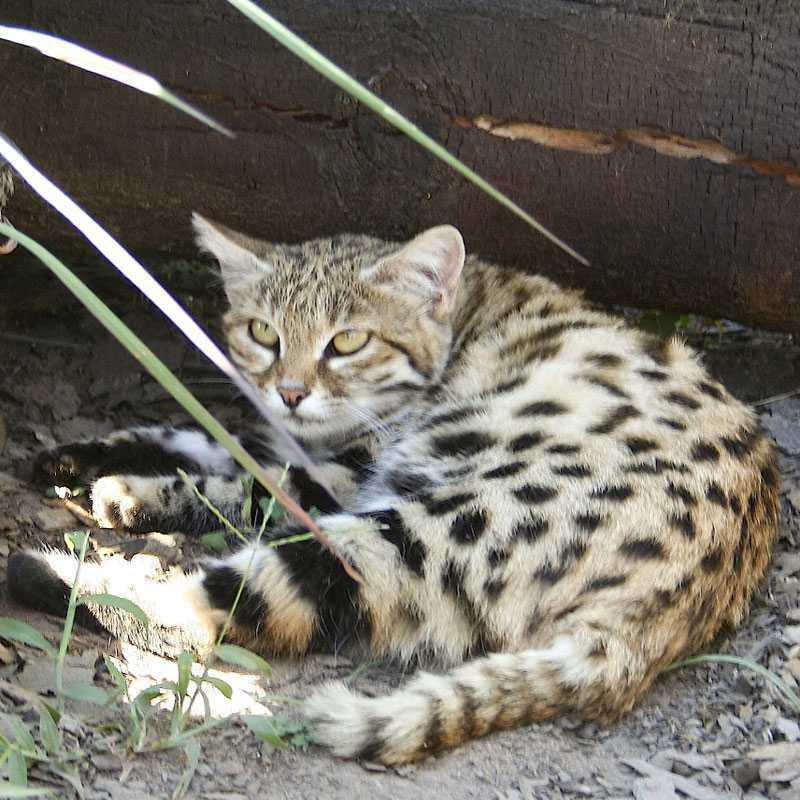 Indiscriminate methods of predator control may be a significant threat as poison baits and traps set for African wildcat and jackal could easily be a threat because black-footed cats readily scavenge. A similar threat is poisoning locusts which are a preferred food. 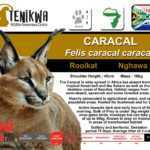 They have few natural enemies in agricultural areas except jackals and caracal and may be more common than originally suspected. 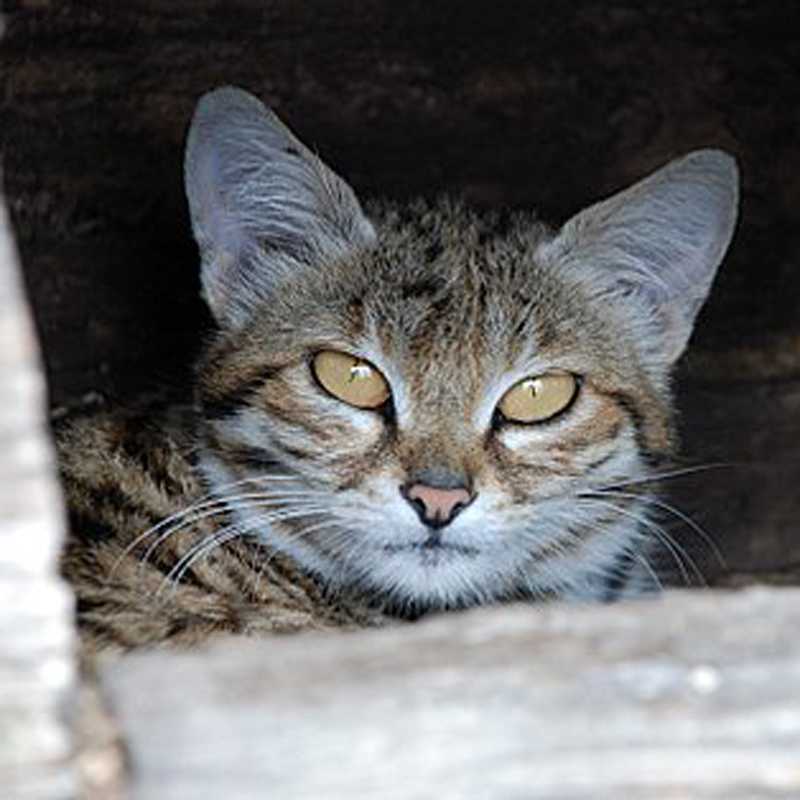 The loss of grassland due to overgrazing by livestock is prevalent throughout the species’ range may well be their biggest threat, as may be habitat deterioration that led to reductions of the cat’s small vertebrate prey base.